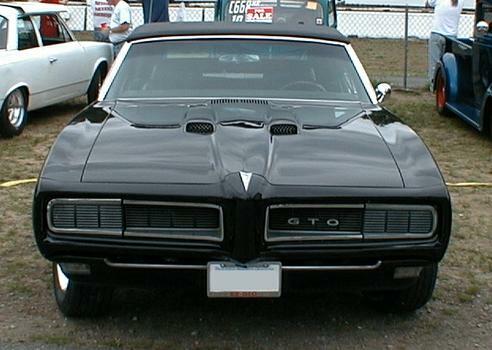 For a long time I had trouble identifying the year of GTOs newer than 1967. I hope this page will spare others the embarrassment of not knowing a '68 from a '69. Be sure to maximize the size of your web broswer window so you can compare the pics more easily. 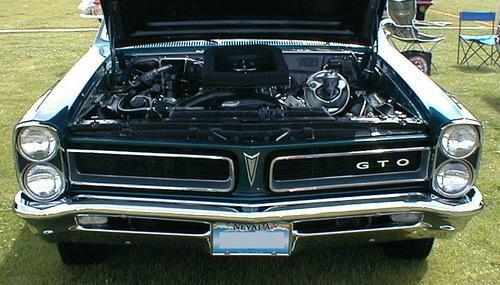 1964, the first year of the GTO. 1965. Headlights are now stacked. 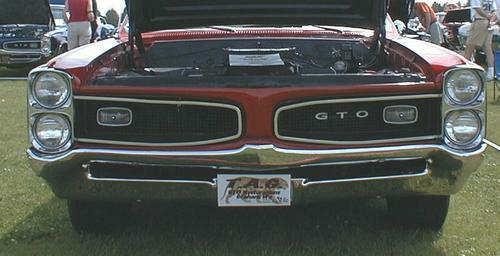 The grille has a square apperance compared to the '66 and '67. Another view of a 1966. 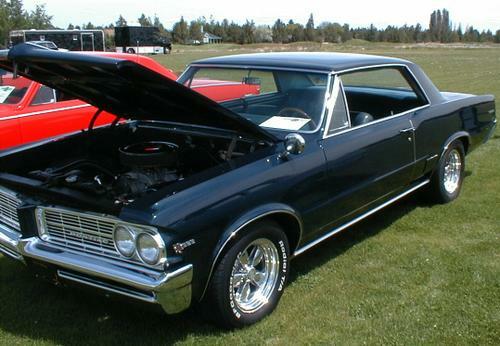 The '66 and '67 have the "Coke bottle" body style. 1967. Very similar to the '66, except for the grille (see the chrome cross-hatch) and the taillights. 1968. 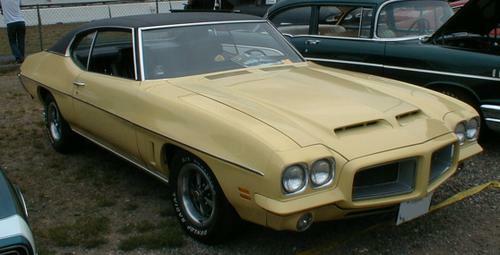 The first year of the body-color "Endura" front end. 1968. The first year of the more rounded bodystyle. Also the last year for the wing window. This 68 has the rare Endura Delete option. 1969. 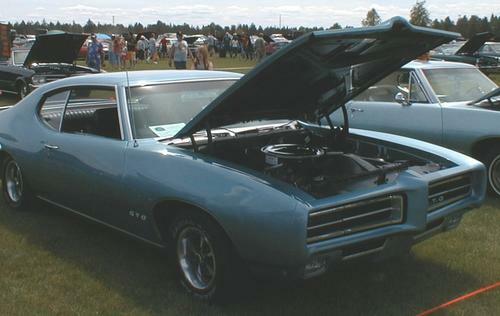 Hidden headlights were a popular option on the '68 and '69. 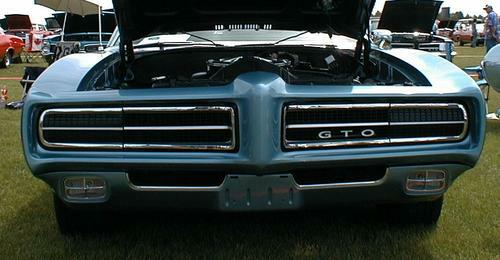 The '69 grille has a horizontal chrome strip in the center of the grille. 1969. Wings windows are gone for good. 1971. 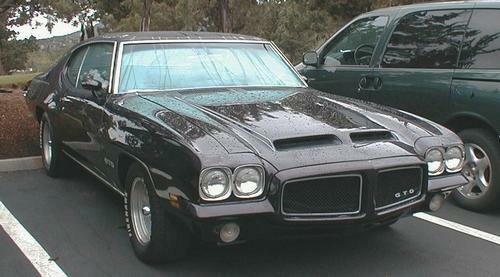 The '71 and '72 have larger hood scoops placed on the leading edge of the hood. 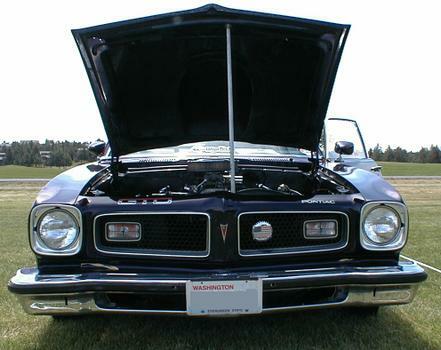 The '72's grille is deeper, and the 72's have fender vents, but 71's do not. 1973. New "Colonade" body style. 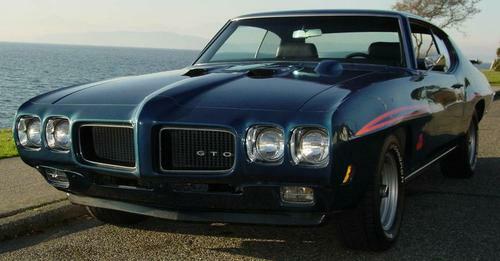 1974, the last year of the GTO until its rebirth in 2004.